Looking back, I’ve sorta realised I’ve done some stupid things that I shouldn’t have. My brief stint in the philosopher’s club back at Uni is one such example. I thought that philospohy could help me defend myself against the harsh realities of life. Wrong. One night, some guy tried to steal my wallet in an alley, and I conclusively proved to him using simple logic that evil was merely ignorance of the truth. What happened? He broke my nose. 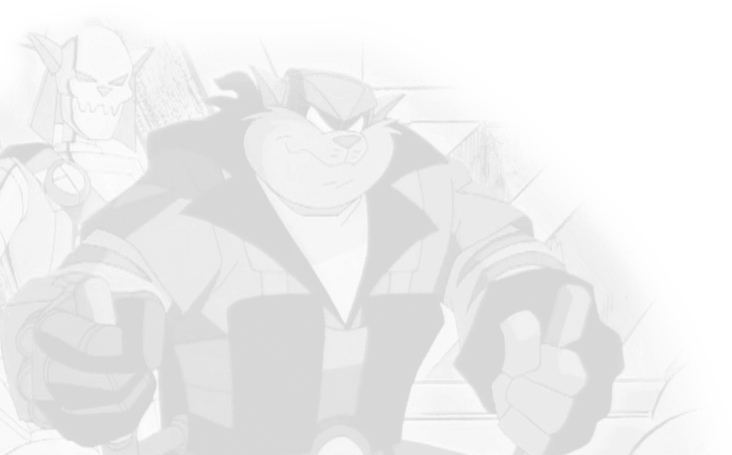 So I decided to become a vigilante – to protect the others who weren’t existentialists, and I joined the SWAT Kats. My name’s Jake Clawson, though some of you know me as Razor, and here is my story. Chance looked up from his paper, to the hopsital orderly. He hadn’t really been able to concentrate on the article he was trying to read, though he had stared at the whole paragraph three times now. Chance stood up and folded the paper in half, putting it back on the waiting room table. “No, I’ve never met a Dr Yes” he said, following her through a ward. “No, Doctor Who” she corrected. “Well I don’t know” Chance said, shrugging. “I don’t know who! That’s what I’m trying to find out” Chance complained, waking up a sleepy patient in a nearby bed. “Who?” Chance asked, looking around. “Who isn’t exactly what?” Chance asked. “I don’t even know who I’m meant to be telling apart here” Chance said, shrugging lightly. “You’re doing this on purpose, aren’t you?” the orderly said. “Who? Me?” Chance asked innocently. “Who am I?” Chance said, genuinly confused. The orderly growled, but continued to lead Chance on through the wards. The Doctor rolled his eyes. This was going to be a loooong day. “Hey, Jake!” Chance called from the other room. “Hey, what?” Jake asked back, not taking the time to look up from his current project – a solar powered engine for the TurboKat – no-one ever bothered trying to enslave the city at night, and fuel prices had gone up again. He thought for a moment on that one. “Yeah” Jake replied, still slightly hazy to the memory. Jake laughed and smiled back at his partner. “Tell me about it! Hopefully, these should help with that new ‘Speed Of Shrove’ device I’ve been working on” he said, pushing his back against the glass door of a bookshop. The door slowly opened, and Jake started to walk backwards in, when he saw someone on the street waving at him. “Oh my God..” Jake muttered, staring over Chance’s shoulder. “What is it, bu-” Chance began, looking behind him. When he turned back, the door was swingly slowly shut, and Jake’s package’s were all lying on the doorstep, afer being so unceremonously dumped. “Oh God, oh God” Jake muttered to himself as he made his way through the shelves. Steven King. John Grisham. More Steven King. More John Grisham. Didn’t these people ever take a break? Star Trek. Star Trek. More Star Trek. Romance Novels. Conspiracy Books. X-files. Millenium. Dark Skies. Books for people who couldn’t handle reality, and had to balme it on others. “It’s the government’s fault I have no life. It’s a conspiracy!” Chris Carter had a very nice idea, it was just a pity he kept using the same one. Classics. Children’s Books. Babysitter’s Club. D.I.Y section. Bingo. “Blast From the Past”. Double bingo. Jake threw up. He wiped the page down with the back of his paw and read on. “Aww, crud” Jake complained. “Now I’ll have to buy the book”. He took the wet, pulpy mass to the front counter and greeted the clerk. “I’m not even supposed to be here today!” the clerk whined, as he fed the price into the register. Jake took the book, and walked out of the store, reading intensely – so intensely that he didn’t notice Chance, or the shekat he just bumped into. “Oh dear God” Jake said, looking back down to the book again. Exercisin’ (Part Negative Two) ———- ——————- By Aspirin (that’s Nick, but with newpanametabusatylaphynasuprasetameta parabisorohepnabolathetanarasudocotaniquofed, and added nilacodipnoquo llmesaventahodinenzantal50, and a new anti-quasting siphtofed formula with hypocidineparamucabol and ibonasalhiftomenebafuquistolmavinghybo hybogiveitawaygiveitawaygiveitawwaynow5) – ask for it by name. And if pronunciation persists, please see your doctor. Chance woke with a start when he heard someone say his name. Turning quickly to see who it was, hoping to high heavens that it wasn’t the Doctor (he couldn’t bear to have another conversation with him). He saw, to his relief, that it was Guido. “Oh…hi Guido” he said softly, ears down a little, before addressing the thin air to Guido’s left “And hi, Milko”. Guido looked to where Chance was speaking, and looked back to the tomkat. “Chance? Who are you talking to? Milko’s over there” he said, pointing to a space a few metres away from them. “I got word from the Doctor that you could go in and talk to Jake for a few,” the tomkat said, smiling and trying to encourage him a little. “Tell Doctor Yes thanks for me” Chance said, getting up from his seat. “Who’s Doctor Yes?” Guido asked. “Who’s not Dr Yes” an passing orderly said. Chance walked into Jake’s room, deciding that the Doctor, whoever he was, would just have to thank himself, or at least, wear a decent nametag. He walked over to his friend and nudged him slightly, feeling his spirits rise when he saw Jake move a little. “Yeah, well…I don’t know ” Chance said, looking out the window. He moved a chair next to the bed, and looked with interest at the vase of flowers on the table. He picked up the small card tied to it, and looked at the inside of it. He blinked, then let the small card swing by its cord, before turning to face Jake again, who smiled nervously. They sat and looked at each other, an eternity of silence passing between them. Jake felt guilty to see the look of anguish on Chance’s face. He wanted to crawl under his sheets and go back to sleep, to forget the pain he’d caused his friend…but that wasn’t an option. It was time to fess up, and both of them knew it. They didn’t know what fessing up was exactly, but all they knew was they had to start doing it. Chance went off to find a dictionary and an orange juice. Jake slowly came to, being shaken gently by a shekat he’d thought he’d never see again. He shaked his head, weakly, as she put a paw against his forehead. ffull of shroves at the side. “Hello. Who are you?” the shekat asked. Jake’s white spots slowly faded, and he weakly raised an eyelid. “Uh..it’s Chance. Do you know my friend here?” he said, shaking her out-stretched paw. Jake opened his eyes fully at the sudden silence, and saw his blurry partner run off after an ill-defined Amy. The two continued to run through the crowded mall. Amy bumped into a teenage kat trying to eat a freezy, and spilled his drink on the front of his shirt. Chance hit him, knocking him back into a plant display. A security guard helped pull him out, and brushed some dirt off him. “Look what that dyke did to me!” the teenager wailed. “I’ll get them. Hey! No running in the mall!” Security Officer LaFours yelled, giving chase. Chance saw Amy duck into a side alley, and continued to pursue the elusive she-kat. He skidded to a stop, howeverm as he saw standing there. Or rather, jogging on the spot. “Ah, wasn’t that good?” she asked, obviously invigorated. “I..what?” Chance said, leaning against a wall and breathing slightly heavily. “Wh..what are you on about?” he said, watching in surprise as she dropped down and did 10 rapid push-ups. “Oops, da fuzz” Amy said, and jack-knifed onto her feet again. Chance turned to see the boater-wearing security guard run towards him, and when he looked back, Amy was gone. “Did you know that crazy Energizer bunny?” Chance asked as the two of them walked inside. Jake shook his head no, trying to make it look believable. “Look, Chance, I don’t..I..she called me ‘Jerry’ remember? See? She must have mistaken me for someone else” Jake evaded, holding a paw to his aching forehead. “Yeah..well…something’s up” Chance said, picking up the last of their dumped shopping. “What? No, look, I don’t have the time to-” Chance snapped, clearly exasperated. 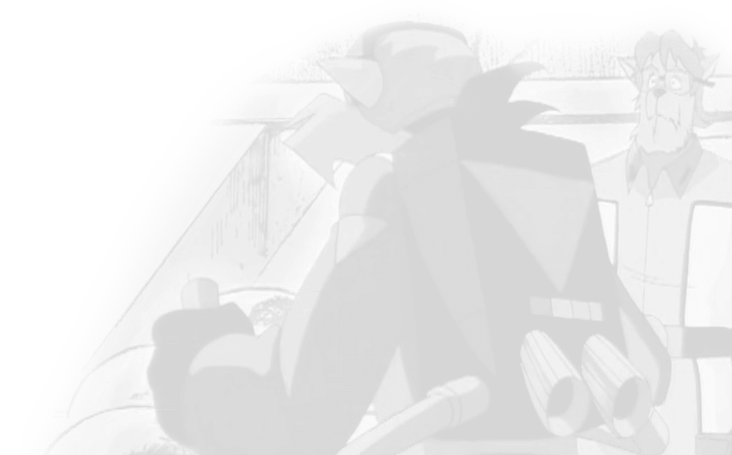 Chance sat on the cold pavement, looking confusedly after them.”Is it three?” he asked, weakly, knowing that no-one could have possibly heard him. “Look, can..can we juh..just stop for a sec? Please?” Jake gasped, completing the fitfh lap of the park. Even the muggers had given up running after them. “Five laps. Jerry is dead. Gone. His membership expired. Now there is only Jake” Jake said bitterly. “Right, I’m not taking another goddamn step” Jake said, and leant against a tree. His breath made thin whisps of steam in the cool night air. “Okay. A breather’s in order, I suppose” Amy said, and jogged on the spot next to him. “Over? What are you talking about?” Amy said, whilst performing chin-ups from a low branch. Jake grabbed Amy by the leg and pulled her back to ground level. Amy rounded on Jake and pushed both paws against his chest, knocking him over backwards. And it was all there. The nautilus machines, the steamy sauna and the filthy locker-room; Jake held his stomach and staggered uneasily. He leant his left shoulder against a tree as he felt his stomach contents churn, and the ever losing battle against his dinner commence, as he held his gut to try and compensate for the pain. “Hiiii Ammmyyyy!! !” the she-kats yelled in not-quite-unison. “Well, then, let’s get physical!” Amy said, starting up the music, only to stop it almost immediately. She stretched to see over the crowd from her small platform, and waved to someone at the back. “Uh…Jerry” Jake said, adjusting his collar. “Wrong with me? ?” Jake said, eyes wide with surprise. “Nooo!! !” they cajouled, a little too happily. “Sheri, you take over the class when I’m gone. Katareena, you teach all the cheerleaders their moves, since you’re one yourself” Amy said, climbing off the stage. I…that’s how it happened. That’s why I was in the hospital. I had some major work done on me, but I got out okay. I told Chance everything, like I’m telling you…Chance didn’t know what to say. He felt terrible…so did I. I don’t know what to do with the memories. They still horrify me…but at least I get to lie around on the sofa watching daytime TV tomorrow. A “Road Rovers” Crossover. The all-dog and all-kat team, after settling some minor inter-special conflicts, team up to defeat Hard Drive and some bad guys from the RR’s universe.